It’s about respect and more for Andre Ward, 18-0 (12), who faces his sternest challenge as a professional when he meets ultra-confident Colombian knockout artist Edison Miranda, 32-3 (28), in the main event this Saturday, May 16, on a special primetime edition of ShoBox: The New Generation live on Showtime at 9 p.m. ET/PT, delayed on the west coast, at the Oracle Arena in Oakland, CA. A 2004 Olympic Games gold medalist, Ward doesn’t need MapQuest to get to where he wants to go and he aims to drive home his point against Miranda, a tough-talking hard hitter who’s predicted a knockout victory. The classy, soft-spoken Ward feels his career is right on schedule and that the time is perfect for him to take what unquestionably will be a major step up in class in his most significant assignment to date. 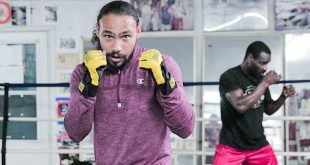 “I’m exactly where I want to be and my upcoming fight will take me where I want to go,’’ he said. “My goal is to ultimately be the best in my division and after this fight I will be in the position to fight the elite at 168 pounds and prove to them and everybody else that this is my time. 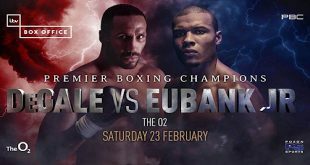 “The super middleweight division is one of the deepest in boxing and is fast becoming a marquee division that is very top-heavy at the highest level. The fighters in my division haven’t received the recognition they deserve – me, included – but that has all changed in the last half year or so because the cream of the 168-pound crop are all fighting each other. Ward will be defending his NABO and NABF super middleweight titles in an eagerly anticipated 12-rounder that will fulfill Ward’s long-desired dream of staging a pro fight in his hometown of Oakland. 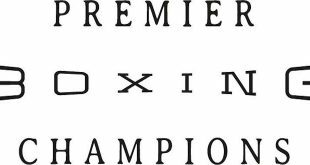 In the ShoBox co-feature, unbeaten, up-and-coming junior lightweight John Molina Jr., 16-0 (12), of Covina, CA, meets veteran Frankie Archuleta, 25-6-1 (14), of Bernalillo, NM, in an eight-round match. 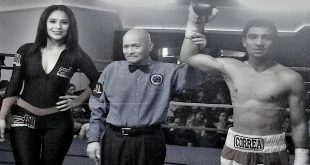 Highlights of a bout between 2008 U.S. Olympian Shawn Estrada, 5-0 (5), of East Los Angeles, CA, and Brooklyn’s Cory Jones, 5-5 (1), will be shown during the telecast. Estrada will also be interviewed between fights. For Ward, despite his vast accomplishments, respect has never come easily. Not when he was an amateur en route to winning a gold medal or now as a professional on the verge of his first crack at a world title fight. “I am on the same road to a world title as I was when I was fighting amateurs,’’ said the classy, well-spoken and well-grounded Ward, the last American to bring home an Olympic Games gold medal. “No one picked me to go all the way and win the gold in the Olympics, and no one has me on any of their top lists now. When asked if he felt some fans considered him “soft,’’ Ward didn’t disagree. “I do think some may feel I don’t have what it takes, that I’ve been knocked down and that I am soft,’’ he said. “But that is a total misconception. I win my fights so easily that people don’t think I’ve been tested. But guys I fight come to win because they know what a win over me would do for their careers. Few expect an easy night’s work for either competitor this Saturday. Miranda’s only defeats came to world champions Arthur Abraham (twice) and Kelly Pavlik. The always-dangerous, exciting Miranda, who’s promoted by Seminole Warriors Boxing, talks a great game, too, and already may be looking past Ward. The mouthy Miranda has been calling out the current world champions almost on a daily basis and the other day invited unbeaten WBC super middleweight champion Carl Froch to the show. The event will be promoted by Goossen Tutor Promotions in association with Leonard Productions. The Ward-Miranda bout will be presented in association with Seminole Warriors Boxing. or by calling Ticketmaster at (800) 745-3000 or through Ticketmaster Outlets at the following outlet partners: select Macy’s stores and select Ritmo Latino stores.